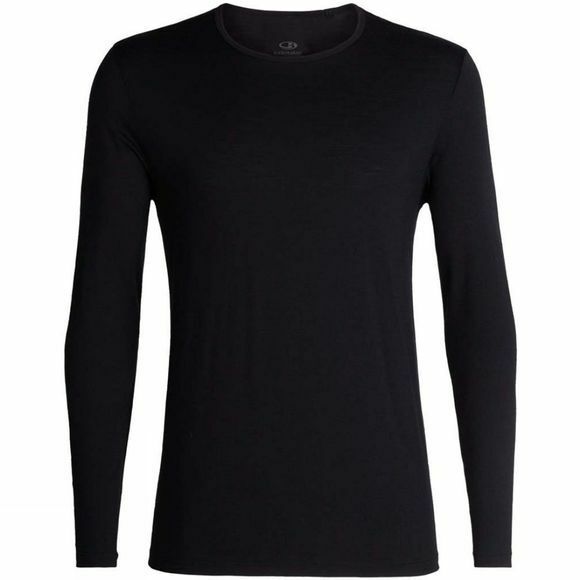 The Mens Tech 200 LS CreweTop from Icebreaker is a modern wardrobe staple, a go-to daily merino wool T-shirt for any day, anywhere. This versatile and incredibly comfortable shirt features 100% merino wool for breathability, next-to-skin softness and odor resistance—perfect for both daily life and travel. Offset shoulder seams and flatlock stitching prevent chafing when you’re on the go or carrying a backpack.